Arizona State University beat University of Arizona in the 2018 Jenckes Closing Arguments Competition! This marked the 2nd year in a row that the Sun Devils came out on top. 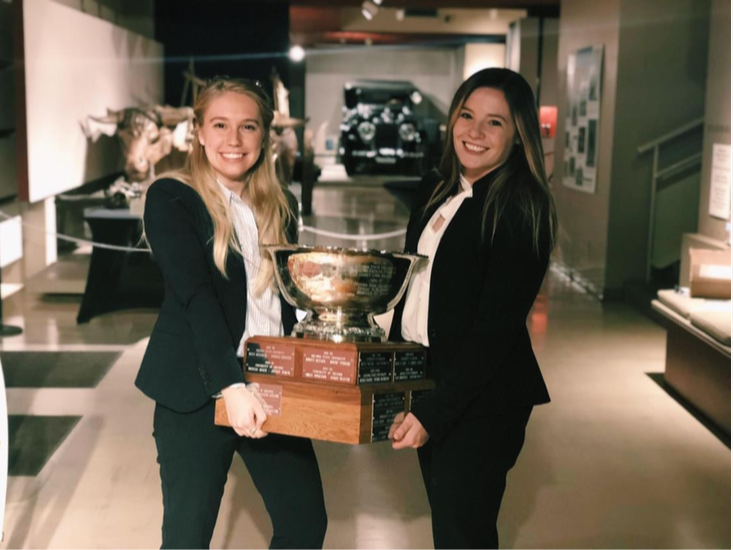 Jenny Adams (2L) (right) and Anne-Grace Reule (2L) (left) brought home the win for ASU, serving as the defense team in a case about the deployment of a K-9 unit on a fleeing suspect. Two weeks before the competition, each team received a transcript of the actual trial that went to court, minus the closing arguments. The students then craft their own closings and argue against each other before a judging panel of up to 40 trial attorneys who are members of the Arizona Chapter of the American College of Trial Lawyers. The judges are not told which school the competitors attend. Adams and Reule trained for the competition with coaches from Jones, Skelton & Hochuli and thank them for all their support!